Paragon Copier Solution is the leading name in the field of Photocopier machines, Photocopier Parts and Photocopier Toners. We import original and excellent quality photocopier machines parts and toner. 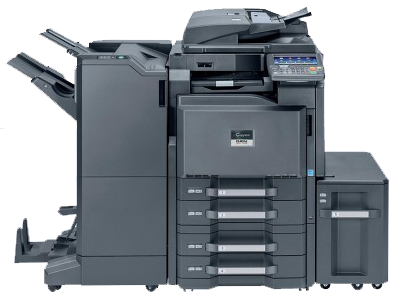 We deal in different parts and toner of various makes and model of Photocopier machines including Ricoh, Kyocera Mita, Konica Minolta, Xerox, Panasonic, Toshiba, HP, and Canon. We also provide photocopier parts and toner replacement facility. If your machine is not working properly, just contact us. We will make a visit of our experienced technician, he will check the photocopier machine properly and guide you about the problem. He will suggest you the solution and will make the machine in working condition by replacing parts or service. We also provide annual service agreement of photocopier machine with or without Parts. By signing and paying for annual service agreement with parts, Paragon Copier Solution will bear the cost of annual maintenance service including parts during the agreed annual period. We will maintain the photocopier machine in excellent running condition by charging no cost to client other than a single annual payment. In simple words, you will insure your photocopier machine with parts. Protects the client from increasing inflation. By signing and paying for annual service agreement without parts. Paragon Copier Solution will bear the cost of visiting charges and service during the agreed period. We will maintain the photocopier machine in excellent working condition by charging no cost other than cost of parts and annual payment. In other words, you will get annual unlimited services. Clients avail this opportunity, if they have less work requirement or they have experienced operator who have basic information about the functions of photocopier machines. Now, you can replace old machine with new or refurbished machine. You can also opt for photocopier on rent.